Well this looks yummy! From Netflix is a new four-part Food Adventure, SALT, FAT, ACID, HEAT. Master these four elements, master the kitchen. 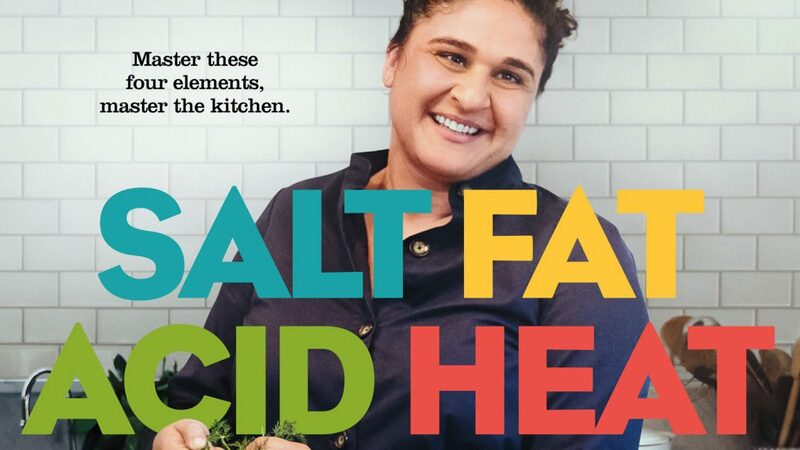 Based on Samin Nosrat’s best-selling book, Salt, Fat, Acid, Heat is the essential guide to the basic elements of good cooking. Across the four part experience, the spirited guide Samin travels to home kitchens of Italy, the southern islands of Japan, the heat of the Yucatán and back to Berkeley‘s Chez Panisse—where she started her culinary career—to demystify and explore the central principles of what makes food delicious and how each of us can easily incorporate those elements into every dish. SALT, FAT, ACID, HEAT premieres on Netflix Friday, October 11, 2018.